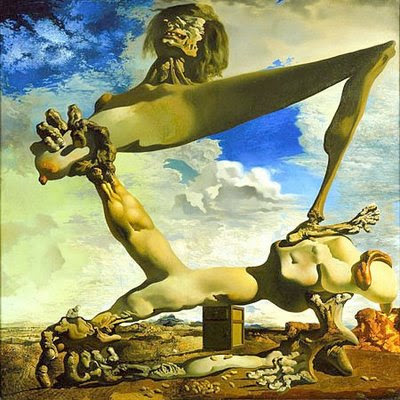 Who is Salvador Dali? The Chief Programmer of TCMS V2? Very unlikely. We didn’t hire any Spanish to do our software, it’s costly, I reckon. He was an artist, a surrealist painter. Born in Figueres, Catalonia, Spain, 1904, and died in 1989. 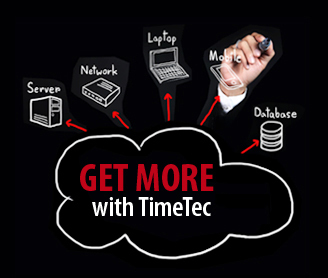 Then, what is the link between TCMS V2, Time & Attendance Software that bundled with FingerTec readers and he? 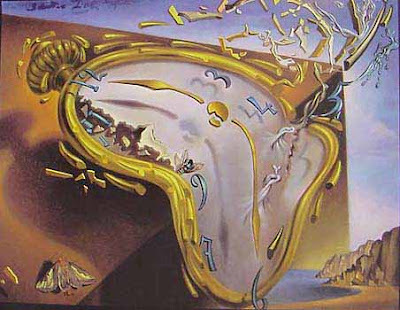 Time is fixed, time is an essence, and punctuality is important (at least in most part of the world). Rush hour traffic, 10 o’clock appointment, 3 o’clock meeting, so on and so forth. This is time in business world. But time is meaningless when there is no life form in this universe. Time only appears when life began. When life is gone, seeped into eternity, time becomes static. 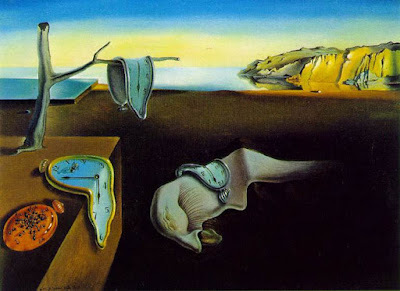 This is time in philosophers’ world. “Time is not important, only life is important.” This is the famous phrase in the movie “The Fifth Element”. 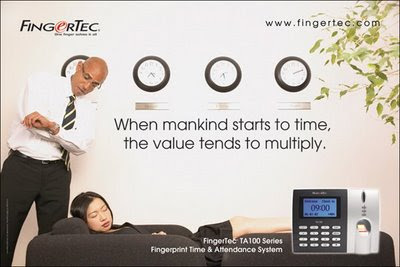 We created a verse in our TA100 poster, “When mankind starts to time, the value tends to multiply”. It conveys the idea that time is not worth as much when nobody cares, therefore when you are timed, it is important to add value to yourself to make your time more valuable. A lifetime is so short, shouldn’t one live a more valuable life? How to manage time to create value, the value that meaningful to you, and to the society? That’s very much dependant on one’s perception and his or her inclination. As long as this is the value that you pursue, it may end up with some meaning to you (but it may not, in the society’s perspective). You may spend one meaningful hour, but wasted the whole life. It’s relativity too. 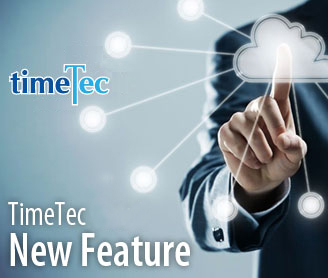 Now, FingerTec is unveiling the better and more efficient version of TCMS V2 (version 2.2) to spare some of your time to pursue what you wish in life. IFSEC UK 2009 at the NEC Birmingham was massive. Being one of the largest security shows in the world; it definitely attracted many bigger players from around the world to partake. Earlier this year when Norbain pulled out, the news sent panic attacks to other participants who had confirmed their participations. Went against the grain, FingerTec booked after the news, taking advantage of the lower price offered during the economic downturn, hoping to secure European market. The shrinking of space in IFSEC this year was the evidence that the economy is limping. Nonetheless, not all players were pessimistic; those who carried on with the show, still made it a success for the industry. Shall We Put On Heavy Make Up or Shall We Go Fresh & Bare? I don’t have issues with companies with big budgets spending it on booth’s cosmetics. The better the booth’s make up, the better impression it conveys to visitors with an objective to secure more serious buyers. I believe that before any of them investing a lot of money for their booth’s cosmetics, they first have invested in research to confirm effectiveness of their proposed design. And perhaps it’s not a waste to spend some dough on feng shui’s masters as well. FingerTec however, chose simplicity. Many were puzzled with our decision to be simple in exhibitions. “You should display more products”, one said. “You should have more technical posters,” the other suggested. “You should at least have an LCD TV installed,” another told. “Perhaps you could have two beautiful girls wearing less dress to greet your customers.” Thank you for all the suggestions but somehow we went with simple. In fact, we have a standard operating procedure “SOP” on how to make up our booth. First step, second, third and done! I’m joking though; we have like nine steps instead. Never in our intention to not taking any shows seriously. We take pride in all our participations. We simply need to be simple because we want to be consistent; we want to keep our value intact. We make things easy, remember? I also believe that if you were a buyer looking for a fingerprint system, you wouldn’t miss my booth. If you were not looking for a fingerprint system, you are not my target customers. At this junction, FingerTec is looking for small to medium sized enterprises to distribute our products and market our brand in their respective regions. And being simple at a show will not intimidate anybody. The important thing for us is to have a chance to explain to people who show interest, the concept of our marketing, and the value of our brands. Once we are done with our presentation, usually we will secure the orders through the third or fourth email communications. It’s important to be in IFSEC. The presence of the brand is not only good for the UK market but also for other European countries. We have great potential clients from Switzerland, the Nederland, France, Czech Republic, Latvia, Spain, just to name a few. We secured sales from Denmark and from some companies in the UK. All in all IFSEC was a good show despite all the challenges and the simplicity of the booth. We also had the opportunity to meet our valued partners from around the world at IFSEC. We would like to convey our thank you to Bob Marshall from Video Marques, our reseller since 2007 for your kind hospitality. 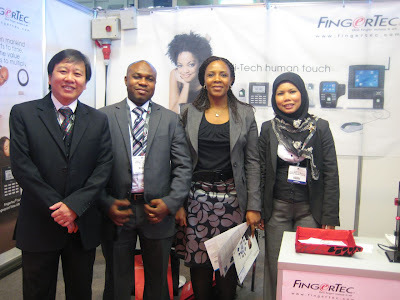 We thank Mr Faisal Kan, Managing Director of IPTEC, for keeping faith in FingerTec products. Thank you to Dr Riyadh and the wife for stopping by and for the special treat from Iraq. And last but not least, thank you to Ms Theodora and Mr Prince from Rapid Vigil from Nigeria for taking the time to visit our booth. Will you be seeing us again in Birmingham next year? A definite YES and please don’t expect any fancy booth because we dare to be simple in a massive show but rest assure that we will always find ways to improve on our simplicity to attract lot more customers, and no, we are not going to hire girls with less dress. I can see Bob is making sad face.. I fed my father rice porridge in his sick bed. The out-of-character intimacy thrilled me. He wanted to say something but his voice clattered at his throat. A sudden stroke struck my father at the end of March brought me back to my hometown more often than usual. Since I left home to pursue my degree, later started my career, and have a family of my own, I spent lesser times at my parents’ home in Melaka, despite it’s only 150km away from Kuala Lumpur. I felt a twinge of guilt when I realized for the past 25 years I hardly looked back, and managed only very few Sundays a year to breakfast with my father at his favorite Dim Sum restaurant. 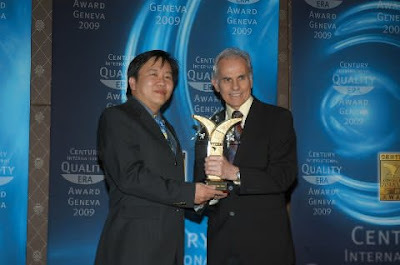 After knowing that his condition had stabilized, a month later I flew again, this time to Geneva, Switzerland to receive a Century International Quality Era Award. The news about my father’s death hit me when I was strolling on the street of Geneva enjoying the cold Spring breeze, still wondering why none of the shopping mall is opened on Sunday. Mr. Jose E. Prieto, the President of the Organizer is a nice guy, when heard of the news, expressed his condolence, and quickly arranged a special photo session to present the Award to me a day earlier from the official event, just before I left the hotel for Geneva Cointrin International Airport to hop on any available airplane to fly me back to Malaysia. Thanks to him. I dislike the Chinese funeral rites tradition but still chose to abide. I lighted two white candles and joss sticks and burned silver papers, alongside with my siblings. Hungry flames gobbled up the comfort-money like the money-crazed Cowhead and Horseface guards in the netherworld. Flakes of soot and ash drifted languidly in the solemn air. Hope to buy him a better afterlife. The mourners started to leave, but the blood ties stays forever and grows thicker by the day. Melaka Memorial Park's Columbariums, where my father's ashes urn was placed. We might not be as casual as Google or having a cool boss like Richard Branson (sorry boss, you are not into daredevil activities) but we do have our own culture, which makes FingerTec the best place to work, at least in my opinion. When I started working some 12 years ago, people told me that if you like the toilet, you will work long in that company. Guess what? 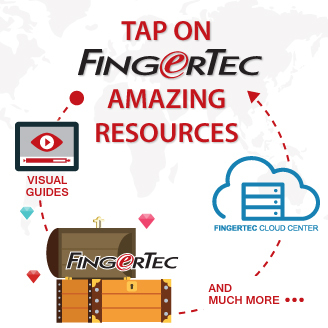 I have been working at FingerTec close to nine years. Current renovation of the toilet foresees my career in FingerTec for another 10. Truth be told, Asians have a lot of qualities desired by Westerners. We are warm people, the women are obedient as compared to the same gender from the West perhaps most of our men too :-), we are (kind of) busy body where we like to know what happen to others and prefer to help if they need help and we have the ‘it’s okay’ attitude in many circumstances. In other words, we don’t really sweat small stuff. When the same attitudes are applied to the workplace, we can only make our customers happy. I recalled one customer who bought cartons of FingerTec products and on top of that order he asked us to source for him a baby stroller. While most of ‘professional’ companies would not even consider, we included the said stroller along with his consignment. It didn’t make us less professional, only a little closer to the heart of our client. When a customer wants us to separate his order into cartons of different items instead of the readily packed products, we obeyed. A bit more tasks on our side but it’s okay. At the end of the day, the objective is to make our customers happy. When a customer asked for a favor to get for his son a birthday present that can be sourced at a better price in Malaysia, we said we try and we did. The management also borrows the motto of Google, “Don’t be evil” to stress the importance of being nice, not only to clients but also to colleagues and competitors. One bad apple can spoil the whole bunch, some said. And I couldn’t agree more. An evil staff can influence other staff to be slackers, an evil staff can damage the image of a brand and an evil staff can spill the beans to competitors without having any remorse. We do have some problems and crisis to attend to along the way but we don’t sweat small stuff, we help as much as we could and we don’t act evil. That is the best recipe to get us through the days. Recently, the company employs an internal auditor to make our work more systematic. Not that we don’t have systems but his job is to make our current systems more methodical. He is astounded by our flexibility and right now is trying his very best to make us “professional”. But the question is, how business do we want to be when it comes to dealing with our clients? A few things to be noted are, we are not lenient when payment is concerned; we are kiasu* (check footnote) Asians. We don’t want to be taken for granted just because we love to assist; we are sensitive people. 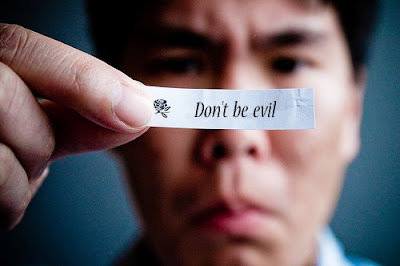 We hate false promises; so do other people around the world. The challenge for us is to offer a business that is professionally conducted but accommodating to the needs of our clients. And we believe FingerTec can because we always want to make things easy and we try to solve it all for you, our valued customers. I will be in IFSEC next week. See you in Birmingham at Hall 4E, Booth 152. *Kiasu - Hokkien adjective literally meaning, "afraid of losing".